Charisma Condos, one of the interesting project developments by Green Park is located at Jane Street and Rutherford, Vaughan. 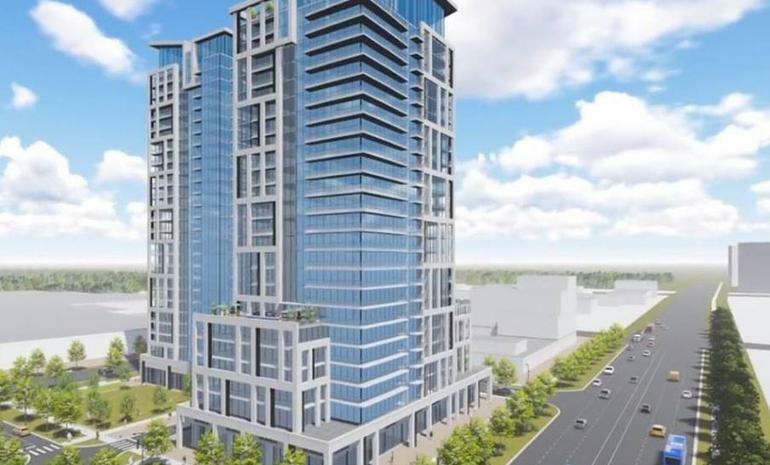 This two tower condominium project is currently in pre-construction status and is scheduled for the year 2020. Famous architects, Kirkor are giving elegant look to the condos to impress people with beautiful interior. This Condominium comprises of 27 Storeys where each unit size rages between 590 – 1536 square feet. The best thing about this project is it is just steps away from Canada’s wonderland and major highways. Many people are showing good interest towards this project because it is very close to major places and helps people to explore the beauty of major cities of area by spending few minutes for driving. Since many developments, schools and plazas are coming to the area this condos location is turning into even better community. The priority of amenities when looking for an apartment is always on the top and here Charisma condominium is helping people reach their expectations on having required amenities. Here one can get all types of assistance from 24 hour concierge team, proven as best professional on-site management team. Wellness center, rooftop sky view lounge, billiards, Bocce courts, pet grooming room, WiFi lounge, spacious theater room and many other impressive amenities are winning the hearts of buyers. Occupants here can easily travel to many dining places with family and friends without any issues like Marcello’s Pizza, Vinnie Zucchini’s Italian Eatery, the north face outlet, UGG Australia and many more. It is also very close to many top schools like Maple high school, St. Emily Catholic Elementary School and Julliard Public School. Perfect shopping malls like Vaughan Mills Mall is also just few steps away from Condos. Since from 50 years Green park developers are maintaining top place in new home industry with its standard quality and excellent services. With combination of marvelous architecture, elegant finishes and perfectly designed suites in both urban and sub urban locations this Green Park developers are raising high in market place today. 330 Richmond, 250 front street east condos, Mountain View heights, Aurora blooms, Axiom condos phase 2 are some of the popular projects of Green Park developers in recent years out of which some projects are in pre-construction state. Enjoying weekend parties, spending quality time with family and friends at perfect dining spot is all convenient for residents at Charisma Condos.. So, for the people who are in a dilemma of how to end-up buying best suitable suite that meets all the requirements like professional management, catchy interior, easy access to many major places at reasonable prices this apartment is the right place to end your search at.